We’d love your help. Let us know what’s wrong with this preview of The Garden Plot by Marty Wingate. Pru Parke always dreamed of living in England. And after the Dallas native follows an impulse and moves to London, she can’t imagine ever leaving—though she has yet to find a plum position In an entirely appealing mystery debut, Marty Wingate introduces readers to a curious Texas ex-pat whose English gardening expertise on occasion leads her to unearth murderous goings-on. To ask other readers questions about The Garden Plot, please sign up. When a book combines England, gardening, and mystery it hits on three of my favorite subjects. Pru Parke gave up her job in Dallas, Texas and gave herself a year to live in England and find a permanent job as head gardener at a private estate so she would have a way to support herself and remain in England permanently. Pru had always felt as if she belonged in England and the death of her mother left her alone in the States, with the freedom to pursue her dream. Literally falling over a dead bod When a book combines England, gardening, and mystery it hits on three of my favorite subjects. Pru Parke gave up her job in Dallas, Texas and gave herself a year to live in England and find a permanent job as head gardener at a private estate so she would have a way to support herself and remain in England permanently. Pru had always felt as if she belonged in England and the death of her mother left her alone in the States, with the freedom to pursue her dream. Literally falling over a dead body in a garden shed had never figured into her plans, though. This is the first novel in what may become a series and was quite an interesting reading experience for me. Author Marty Wingate has created a character who is perhaps more of a naïve dreamer than most successful investigative lead characters, but I hope that this first experience with solving a murder mystery will help Pru learn to be more aware of people around her if there are future books about her. Pru really was a lot too gullible at times. The mystery was very well constructed initially, but began to slow down somewhat in the middle of the book. The relationship which developed with Detective Chief Inspector Christopher Pearse was a nice addition to the plot and allowed Pru to have access to some information that might not have been so easily obtained. It was also nice to find an amateur detective and the professional who were not constantly at odds with each other, that made a nice change. There were a few too many convenient coincidences that took place which were not exactly to be expected in a city the size of London, but from a plotting standpoint they were pretty much essential in order to keep the story moving. The gardening information is well done in the novel for those readers who are interested in gardening and yet not so overwhelming that it might be a deterrent for readers uninterested in the subject. Hopefully future books will continue to allow the reader to be an armchair traveler to other great gardening and historical sites through England. I did enjoy this story and there is a wide scope for subject matter to be featured in future novels. I received an ARC of this novel through NetGalley. The opinions expressed are my own. I love a good cosy mystery, and this was definitely a cut above. Pru, a professional gardener, born in the states to an English mother had always felt a little out of place and so had given herself a year to land a head gardener's position in England or she would return home. Despite all the rejection letters she had kept her spirits up with lots of small gardening jobs at different homes. Unfortunately, whilst attending to one garden she trips over - literally - a dead body. There is, naturally I love a good cosy mystery, and this was definitely a cut above. Pru, a professional gardener, born in the states to an English mother had always felt a little out of place and so had given herself a year to land a head gardener's position in England or she would return home. Despite all the rejection letters she had kept her spirits up with lots of small gardening jobs at different homes. Unfortunately, whilst attending to one garden she trips over - literally - a dead body. There is, naturally, a mystery attached. Marty Wingate has written a delightfully "English" novel, that just happens to also be a mystery. Pru Parke is an extremely sympathetic character. She has become an expert in English gardens. She knows plants and bothhistorical and contemporary English gardens. And she loves everything English. After her mother died, she took her mother's English maiden name. Now after living and working in Texas for nearly 50 years, she is living her dream in England as a gardener. Actually, she is doing garden Marty Wingate has written a delightfully "English" novel, that just happens to also be a mystery. Pru Parke is an extremely sympathetic character. She has become an expert in English gardens. She knows plants and bothhistorical and contemporary English gardens. And she loves everything English. After her mother died, she took her mother's English maiden name. Now after living and working in Texas for nearly 50 years, she is living her dream in England as a gardener. Actually, she is doing gardening jobs as she can get them, while constantly applying for a full time position as a gardener. Pru is intelligent and hard-working and very friendly. The people she meets are eccentric. The house she sublets is filled with odd noises. The murder she encounters is more complicated and convoluted the farther she and the friendly inspector delve into it. For anyone who enjoys comfortable English novels, or a bit of mystery, this is an excellent choice. This is the first book in the Potting Shed Mystery. I had read the others in this series, but missed the first one so went back and listened to this one. Pru Parke wanted to find out if she had any family in England, so she gave up her job in Dallas, Texas and gave herself a year to live in England and find a permanent job as head gardener at a private estate, Her hope was to be able to stay in England permanently. When her mother died, she had no family left in the U.S. so felt that England was This is the first book in the Potting Shed Mystery. I had read the others in this series, but missed the first one so went back and listened to this one. Pru Parke wanted to find out if she had any family in England, so she gave up her job in Dallas, Texas and gave herself a year to live in England and find a permanent job as head gardener at a private estate, Her hope was to be able to stay in England permanently. When her mother died, she had no family left in the U.S. so felt that England was where she was meant to be. When she is working on designing a garden that has become overgrown, she stumbles upon a mosaic on the floor of the gardening shed. The next day, she finds a body. Fun, combines England, gardening and mysteries - what’s not to like? I liked the middle-aged heroine, Pru Parke, and the sweet portrayal her budding romance with the DCI investigating the dead body she finds in a garden shed on a job. About 3/4 into the book, though, Pru’s naïveté became a bit of a problem for me and I skimmed to the end; it was pretty obvious who the culprits were, and I get frustrated with heroines putting themselves in danger unnecessarily, common rookie plot mistake that it i Fun, combines England, gardening and mysteries - what’s not to like? I liked the middle-aged heroine, Pru Parke, and the sweet portrayal her budding romance with the DCI investigating the dead body she finds in a garden shed on a job. If you want to know anything about English Gardens then just read this mystery novel. Pru is an American living in London and she really want's a head gardening position. She has given herself one year and her year is almost up, so she is trying really hard to find work. She sublets a house from a couple who are vacationing, but when they come back she will not have a place to say. An older lady as Pru to help her surprise her husband by starting a garden in the backyard. One day when Pru goes ba If you want to know anything about English Gardens then just read this mystery novel. One day when Pru goes back there she discovers a dead body in the shed and gets to meet DCI Pearse. She is afraid that the inspector is going to suspect Mr. Wilson of murder so she sets out to try and prove he didn't do it. Even when evidence starts to look as if he could have she refused to believe it because the Wilson's have been so kind to her. There is a little bit of romance in this mystery between Pru and DCI Pearse and I will say that probably helped me like this novel a bit more. I enjoyed the characters in the novel. Pru is a bit stubborn in her ways as she has resigned herself to having to leave and go back to the states because she can't get the job she wants. She really has no family back in the states and it's like she can't see all the family if not by blood she has right there in London. She is a pretty spunky lady as twice she had to fiend off attackers and she always did a pretty good job of it. DCI Pearse seemed like a very pleasant policeman once you get past the 'you just stepped all over my crime scene' attitude out of him. DCI Pearse and Pru seem to just sort of fall into a normal routine of meeting each other after their by chance meeting at a nature thing. (can't remember what it was called) He gets mad at her for always pursuing police matters but it has more to do with him not wanting her to get hurt than her interfering in his investigation. The Wilson's were a really cute older couple who really take Pru under their wings and make her a part of their family. Jo, Lucy and Cordelia are like the sister's Pru never had and they were really nice side characters. If you are into gardening then you will really enjoy all the gardening lingo and talk of flowers and what have you, but if your like me then it will probably bog you down a bit. I guess I should have expected all the talk about flowers and gardening even though that is not my thing it was still an interesting cozy mystery novel. Pru Parke grew up in Dallas, Texas, only child of an English mother and American father. Pru is a professional gardener and landscape designer with a perfectly good career. But when her mother dies Pru decides to follow her dream and move to England. She gives herself one year to get a position at one of the many historical English gardens. So far, she has had no luck but has gotten several jobs in private homes. When Pru stumbles over a dead body at one of those homes she finds herself drawn in Pru Parke grew up in Dallas, Texas, only child of an English mother and American father. Pru is a professional gardener and landscape designer with a perfectly good career. But when her mother dies Pru decides to follow her dream and move to England. She gives herself one year to get a position at one of the many historical English gardens. So far, she has had no luck but has gotten several jobs in private homes. When Pru stumbles over a dead body at one of those homes she finds herself drawn into the investigation. We first meet Pru in the last month of her self-imposed year limit. She is just about out of funds and coming to the end of her lease on her house. She has made friends in England but her old Dallas friends and an old flame are pressuring her to come home. She can even get her former position back but England has become more of a home to her than Dallas could ever be. There are so many things I loved about The Garden Plot. Pru herself is a mature woman; over fifty and extremely self-reliant. Some might even call her stubborn. Yet she is also vulnerable, feeling that she has always been somewhat of a fish out of water. She wants more than anything to stay in England but things just haven't worked out. Every chapter of The Garden Plot begins with an extremely polite and very English rejection letter from an interview she has had for a position. Those letters get more and more painful as time grows short. This is one of those cases where I would say “don’t judge a book by the cover”. From the cover, you would expect a cute, lighthearted cozy read, but The Garden Plot has much more to offer than that! I was really impressed by this and I only picked it up on a whim. The character of Pru is an interesting complex single expat American living in England. She has returned to England after her mother’s death to make a new start and perhaps find the last remaining family that she has. She is a trained This is one of those cases where I would say “don’t judge a book by the cover”. From the cover, you would expect a cute, lighthearted cozy read, but The Garden Plot has much more to offer than that! I was really impressed by this and I only picked it up on a whim. The character of Pru is an interesting complex single expat American living in England. She has returned to England after her mother’s death to make a new start and perhaps find the last remaining family that she has. She is a trained gardener and is looking to find a permament position. In the meantime, she does odd gardening jobs and of course stumbles across a body. Sounds very typical for a cozy, but it’s not. The plot is enriched by British history, archaeology, gardening and garden restoration. It has less humor and more tension than a cozy usually has. It is a fine mix of the mystery with all of the information and the romantic subplot that makes this mystery stand out. Reminds me very much of another series I really loved by Anthony Eglin, The English Garden Mysteries. I would highly recommend this series to cozy readers and/or fans of the Rosemary and Thyme TV series (if anyone else remembers that one). 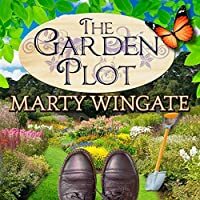 The Garden Plot is a modern version of the cozy British mystery—complete with the hidden treasure, the by-the-rules detective, the breaking-the-rules amateur detective, and an array of colorful, potential suspects. Pru, short for Prunella, is an American gardener searching for a permanent gardening position on a grand English estate but, instead of finding a steady job, Pru discovers an ancient Roman mosaic and a dead body. 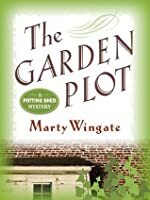 The mystery unravels at a leisurely pace, a pace that allows the reader t The Garden Plot is a modern version of the cozy British mystery—complete with the hidden treasure, the by-the-rules detective, the breaking-the-rules amateur detective, and an array of colorful, potential suspects. Pru, short for Prunella, is an American gardener searching for a permanent gardening position on a grand English estate but, instead of finding a steady job, Pru discovers an ancient Roman mosaic and a dead body. The mystery unravels at a leisurely pace, a pace that allows the reader to easily play detective alongside Pru. The characters are well developed and the romance between Pru and DCI Pearse is not over-the-top or unrealistic (no love at first sight here!). The setting moves from London to the countryside and displays a variety of gardens in and around the city. I found Pru's constant side trips and the plethora of historical information about gardens interesting but a tad lecture-ish . I recommend this novel to, of course, mystery fans but also to readers that are new to the mystery genre. This book was engaging—I finished it in one sitting—and it is the perfect place to start reading a new genre. I certainly hope this will become a series. I am ready to follow Pru on her next adventure. Wingate--Please don't take too long with a sequel! I received a copy of this book from NetGalley in exchange for my honest opinion. The Garden Plot was a pleasant surprise. I'm not usually one for straight cozy mysteries, but I found myself really liking the main character Pru and her adventure. There was also a sweet surprise romance in the book that made it that much better. Pru is a transplant from Texas. Her mother was from England and she decided to move to England to start a new life. She gave herself a deadline of a year to find a permanent head gardener position before she heads back home. When the story begins, it i The Garden Plot was a pleasant surprise. I'm not usually one for straight cozy mysteries, but I found myself really liking the main character Pru and her adventure. There was also a sweet surprise romance in the book that made it that much better. Pru is a transplant from Texas. Her mother was from England and she decided to move to England to start a new life. She gave herself a deadline of a year to find a permanent head gardener position before she heads back home. When the story begins, it is down to the last few weeks before her time is up. It was interesting initially, what with Pru seeming sensible. But she quickly loses that edge, because the plot requires her to make some foolish decisions, slips, omissions and leaps of logic. I'm not sure Wingate can write suspense, because it's very hard to miss where the book is going towards. Pru's bad decisions stick out like a sore thumb. I mean, there are only so many completely oblivious mentions of mice rearranging furniture I can take from a fifty year old woman. I also felt really ti It was interesting initially, what with Pru seeming sensible. But she quickly loses that edge, because the plot requires her to make some foolish decisions, slips, omissions and leaps of logic. I'm not sure Wingate can write suspense, because it's very hard to miss where the book is going towards. Pru's bad decisions stick out like a sore thumb. I mean, there are only so many completely oblivious mentions of mice rearranging furniture I can take from a fifty year old woman. This was a thoroughly entertaining read with an engaging heroine who, for once, was nearer my age with experiences I could relate to and a believable love interest. The plot had enough twists to satisfy a lifelong mystery reader, although I did guess "whodunnit" about three quarters of the way through the book. I am not a gardener but I found the discussions, descriptions and history of plants and important British gardens fascinating. I particularly liked the tongue in cheek tone of Prue's rejecti This was a thoroughly entertaining read with an engaging heroine who, for once, was nearer my age with experiences I could relate to and a believable love interest. I particularly liked the tongue in cheek tone of Prue's rejection letters......I'm still trying to picture a famous garden near Billy Row!! I can recommend this book as a good read...preferably in the garden on a sunny day! ARC received via publisher and Netgalley in return for an honest review. The Garden Plot was a perfect cozy mystery. Set in England, the characters were well-drawn and likable. The mystery keeps you guessing and the story moves along at just the right pace. A little romance is thrown in and in cozy tradition, you are sure all will be well by the last page. I enjoyed this story very much and hope to read more from this author. Lovely to find a middle-aged heroine, one experiencing nearly dire straits as she makes an eventful career and life change. Strong in character and perseverance, Pru soldiers on as her temporary stay in London, and her intent to become a head gardener, are repeatedly thwarted. Fast-paced, cosy mystery. My ARC courtesy of NetGalley/Random House. Much thanks! For a further review: http://susannag.booklikes.com/post/87... .
position on one of the large English estates. the house scheduled party occurs. one when she literally stumbles over it. undeniable chemistry between each other. she and Inspector Pearce develop a relationship? own flavor to the story. 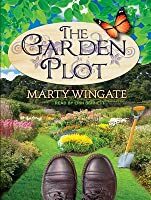 The American Pru has been in England for almost a year in which she has been looking for work as a gardener in The Garden Plot by Marty Wingate. Turned down by everyone to whom she applies, Pru is on the verge of returning to Texas when she gets a small local job cleaning up the garden of the Wilsons. After a day of dealing with vines, Pru gets into the garden shed, only to do some digging within the shed and find hints that a mosaic of a Roman horse might be buried there. This really excites Mr The American Pru has been in England for almost a year in which she has been looking for work as a gardener in The Garden Plot by Marty Wingate. Turned down by everyone to whom she applies, Pru is on the verge of returning to Texas when she gets a small local job cleaning up the garden of the Wilsons. After a day of dealing with vines, Pru gets into the garden shed, only to do some digging within the shed and find hints that a mosaic of a Roman horse might be buried there. This really excites Mr. Wilson, an amateur and highly enthusiastic archeologist, who is so thrilled to find ruins in his own backyard. But then the next day Pru goes back to the shed, only to stumble across the body of one of Mr. Wilson’s archeological friends. As with all Marty Wingate books I seem to like the secondary characters better than the MC. Pru Parke has given herself one year to make it in her mom's home country of England. Her goal, become a head gardener at an English manor house. She finds a small job fixing a garden for a garden party with the promise of a complete redo. When she finds a body in the potting shed all plans are put on hold. When her employer is the perfect suspect Pru decides to investigate. The story line is good and the characters while not physically described are given personalities that you can either like or dislike. For me I just wanted to smack Pru up side the head. Between her woe is me, tears, and acting like a teenager at times, in public no less, with the inspector in charge of the case. I thought she might need hormone replacement therapy. But that makes the character fun. The description of the gardens are wonderful. What I really enjoyed though was the archeological site descriptions and the history. A fun cozy mystery. I particularly enjoyed the gardening and archeological aspects of the story. I will definitely look for the next one in the series. The title is a play on words; the main character is a gardener who specializes in creating new and unique gardens, and there is a plot in one particular garden that leads to murder. Pru Parke makes for a very different heroine, not because she’s 50, but because she has chosen that point in her life to pull up stakes, move to another country, and finds romance while she’s creating a fresh start. For a middle-aged private female to get involved in a murder investigation has been done before, but that the woman finds romance along with the culprit is unusual, and fun. Pru gave herself one year to try her hand at finding a full-time gardening position somewhere in England. She has savings to see her through, and a dual citizenship to make her eligible for employment in Britain. What she also has is a bunch of odd jobs that barely supplement her income and a year’s worth of rejection slips. She’s just about given up hope when she discovers a body in the potting shed. Not her own potting shed, the shed belonging to her latest clients. And next to the body, there’s an exposed corner of a Roman mosaic. Too bad about the body. As Pru winds down her gardening jobs, she can’t resist poking her nose into the mystery surrounding that corpse. Especially because she’s been adopted by the nice couple renting the potting shed (and the house that goes with it) and she can’t bear to see the way that poor Harry Wilson seems to be getting put in the frame for the murder. And every time Pru looks just a bit further into the mystery, she finds herself tripping over the Detective Chief Inspector in charge of the case, Christopher Pearse. He wants her to get her nose out of his investigation, but that wish conflicts with his desire to get her into his life. Meanwhile, time is running out on Pru’s sojourn in England, and possibly on her life. Escape Rating B+: Pru Parke strikes me as a combination of Agatha Christie's Miss Marple and China Bayles from Susan Wittig Albert’s series. The story has been described as being very “English”, and it does have that feel to it, very much as the Miss Marple stories do. Pru gets involved in everyone’s life, and develops lasting friendships with the people that she meets. At the same time, the murder that finds her has some very dark aspects, and there’s definitely a sense that she is under threat from fairly early on. China Bayles in the Albert series is a professional gardener who owns her own herb shop in Texas, where Pru is from. China also falls in love with, and marries, a cop who investigates one of her early cases. But the fascinating part of Pru’s investigation is all about that mosaic. There are lots of Roman ruins buried pretty much everywhere in Britain. A normal case often involves “follow the money” but here, it doesn’t start out to be money so much as the thrill of discovering something truly spectacular. Not that money doesn’t come into it--if the thing is real, the questions of who owns it and who is planning to sell it are paramount. And a huge part of the confusion about who really done what and why. The romance isn’t “in your face”, instead it’s sweet and creeps up on the reader just as it does on the protagonists. These are two people who discover that they have something in common, enjoy each other’s company, sometimes drive each other crazy, and want a chance at something that’s real and better than what they’ve experienced in the past. They have patience and impatience in equal, and real, measure. It was great to see a couple who are older than 30 still capturing that marvelous flush of falling in love. American Pru Parke leaves her home in Texas and relocates in London to live out her dream of being a gardener in England. She has given herself one year to find a permanent position and although she has the skills and the training has so far only been able to find temporary gardening jobs. While on a job for Vernona and Harry Wilson, Pru makes an exciting discovery in a potting shed, but then later literally stumbles across a dead body in the same shed. The handsome DCI Christopher Pearse wants American Pru Parke leaves her home in Texas and relocates in London to live out her dream of being a gardener in England. She has given herself one year to find a permanent position and although she has the skills and the training has so far only been able to find temporary gardening jobs. While on a job for Vernona and Harry Wilson, Pru makes an exciting discovery in a potting shed, but then later literally stumbles across a dead body in the same shed. The handsome DCI Christopher Pearse wants to keep Pru involved in the investigation. Does he dislike her meddling or is he just trying to keep her safe? Either way, Pru keeps ending up right in the middle of things. She seems to be finding plenty of danger, but unfortunately no solid job leads and may have to leave her new home. “The Garden Plot” is an outstanding debut that fans of British cozy mysteries will love. Pru is a very likeable main character and although some of her decisions are impulsive and unwise, especially for someone fifty years old, she doesn’t behave as the typical American in England, perhaps because her mother was English. She is intelligent and very knowledgeable about the gardens in England, which seems to help her fit in. The author clearly has a love for flowers and English gardens and that comes through in this novel. The mystery is interesting and keeps your interest throughout the book. The supporting characters range from mysteries, to kind, to offbeat and quirky, but add interest to the book even when not completely believable. I enjoyed Pru’s friendship with Jo and I especially liked the chemistry between Inspector Pearse and Pru. They are definitely a couple to root for! I did become frustrated with Pru’s stubborn insistence in keeping to her self-imposed one year deadline for finding a permanent gardening position. She did have small jobs and a variety of clients and everything else about her new life in England was everything she dreamed of. It seemed silly that she is so willing to give up everything and move back to Texas with her tail between her legs. Luckily, the book has a nice ending and it appears a sequel is coming out later this year and I look forward to finding out what happens next for Pru. Readers who enjoy Agatha Christie, Hazel Holt, or Dorothy St. James will enjoy this charming cozy mystery. I received this book from NetGalley, through the courtesy of Alibi Publishing. The book was provided to me in exchange for an honest review. 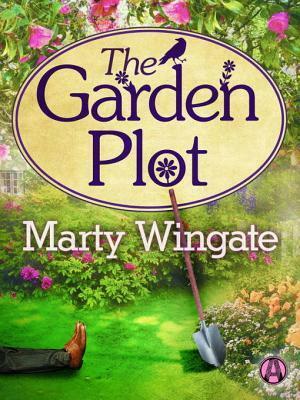 The Garden Plot by Marty Wingate is a mystery that reminds me of an M. M. Kaye mystery. A story about a normal woman who gets herself mixed up in all sorts of trouble, where the love story takes a back seat to the mystery. A very good mystery that is a little slow at times but always entertaining. My only complaint is more of a question and that is just how old is Pru supposed to be? 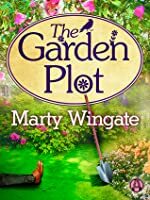 It seems like she is middle aged at times and other times she just seems very young and I spent most of the book The Garden Plot by Marty Wingate is a mystery that reminds me of an M. M. Kaye mystery. A story about a normal woman who gets herself mixed up in all sorts of trouble, where the love story takes a back seat to the mystery. A very good mystery that is a little slow at times but always entertaining. My only complaint is more of a question and that is just how old is Pru supposed to be? It seems like she is middle aged at times and other times she just seems very young and I spent most of the book wondering just how old she was. Pru Parke has always wanted to be the head gardener in a real English garden. Raised by her English mother to appreciate all things English, but after her Mother's death she takes a sabbatical from The Dallas Arboretum and moves to London to try and fulfill her dreams and get a job as the Head Gardener in a English garden. Well her year is almost up and he lease on her sublet flat is about up when she gets a frantic call from a Mrs. Wilson asking for help cleaning up her back year and then plot out the garden. That's when the trouble starts she finds an ancient Roman Mosaic buried underneath the plotting shed, the next day Pru finds a dead body in the same shed next to the mosaic. DCI Christopher Pearse is in charge of the investigation, and following evidence it leads him to suspect Mr. Wilson, armature archaeologist who was colleagues with the deceased. Pru having gotten to know the Wilson's know with out a reasonable doubt that Mr. Wilson didn't do it. But suspects the weird and nosey neighbor, Malcolm. Just through talking to people she finds clues that lead to the why and who. She also gets closer to Pearse running into him and going to see the badgers and then a few dates and sharing a few kisses. As it goes on with rejection letter after rejection letter Pru is faced with the fact that she might have to leave back to Dallas and now with her budding relationship with Pearse it is even more difficult. Through the story Pru's deadline looming closer and closer she is almost killed and threatened as she unknowingly gets closer and closer to the truth. A delightful light mystery that starts off Marty Wingate's Potting Shed Mysteries. With more to come I am curious to see where it will lead Pru and Pearse and what trouble Pru will find herself in next. I constantly complain about cozy mysteries – and I keep on reading them. Anyone wanting to bring up the "definition of insanity" quote can just pipe down, thank you. And see, this book is why I keep trying them. I was cautious at first, and only downloaded a sample at first – but I liked it. And then I spent more than I really expected to to buy the complete book (I tend to resent any Kindle book that costs more than about five dollars), but … I liked it. (Insert very old Life Cereal commercial h I constantly complain about cozy mysteries – and I keep on reading them. Anyone wanting to bring up the "definition of insanity" quote can just pipe down, thank you. The tale concerns an American expatriate, who has in her early 50's walked away from her life in Texas to start over in her mother's homeland, England. That was a big step toward winning me over, since I plan on doing the same thing one day, though not, as she does, as a gardener. And right there are some of the reasons why this works where other cozies fall flat: Pru Parke is a unique heroine (in other words, she's not a lovely blonde twenty-something, and yet she's also not in any food service industry). While it's still so unlikely as to be statistically impossible that she will run into enough corpses to constitute a series, at least her occupation leads her into varied settings and allows for easier suspension of disbelief. More to the point, I liked her. I liked her worries about how she was going to pull off her dream, which begins to look less and less likely. I liked her work. I liked the whiff of ineptitude in her detection – it's annoying when an ordinary citizen turns out to be a better detective than the pros on her first time out. 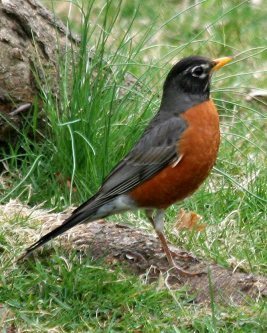 And it's also rather nice that I learned something: I never really picked up on the fact that there is a difference between American and English robins. 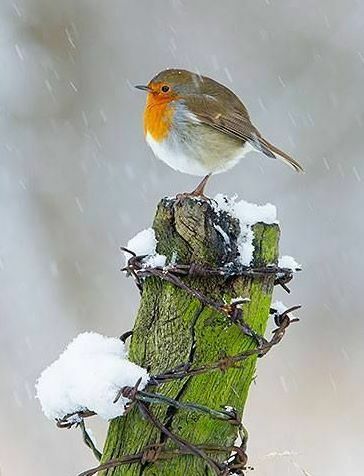 "American robins are blackbirds," she said, and added to explain, "Well, what Americans call robins are quite close to blackbirds here, only with red breasts. We don't have these little guys." Pru is living out her life long dream of living and working in England – her Mother’s country of birth. She didn’t realize how hard it was going to be trying to find a job as an estate gardener. As the rejection letters keep coming – Pru picks up odd jobs around London helping out friends of clients fix up their gardens, take away the rubbish and string up lights to pretty up their spaces. She has no idea taking the job with the Wilson’s would throw the last few weeks of her year in England into Pru is living out her life long dream of living and working in England – her Mother’s country of birth. She didn’t realize how hard it was going to be trying to find a job as an estate gardener. As the rejection letters keep coming – Pru picks up odd jobs around London helping out friends of clients fix up their gardens, take away the rubbish and string up lights to pretty up their spaces. She has no idea taking the job with the Wilson’s would throw the last few weeks of her year in England into complete chaos. Mr and Mrs Wilson seem like a nice couple, although a bit odd. He is an avid amateur Archaeologist who travels around England with his group looking for artifacts that can be donated to museums. While his wife keeps around the house with garden parties and visiting with friends. When Pru discovers some tiles beneath the dirt of the garden shed things start to get interesting. The next morning the body of Jeremy Pendergast is found – a friend of the Wilson’s who has let the house to them. Now with the garden of limits, Pru gets caught up in the middle of the investigation and catches the eye of Detective Christopher Pearse. As the twists and turns of the story go along, Pru gets muddled right up in the middle of things. I’ve always been a fan of cozy mysteries – so when the ladies at TLC book tours sent this title my way I instantly said yes. Pru is an interesting character – she’s very independent, loves gardens and the history behind them. She has quite the stubborn streak which gets her into all sorts of trouble. Thankfully Christopher isn’t far away and pulls her out of the line of fire a few times. Would I recommend this book? Yes! If you like cozy mysteries then this is one to add to you list. Marty’s writing style is amazing, it pulled me right into the story and kept me glued well into the wee hours of the morning trying to find out what happens with Pru and Christopher. The thrill of finding out who did it and how kept me hooked. Would I read more by this author? Yes, I look forward to seeing more stories of Pru and what happens. Pru Parke is in a precarious position. After interning at one of England's famed gardening spots and honing her skills to compete with her UK counterparts, she's given herself a year to find a position that will allow her to stay in England. With her year almost up and no solid job in sight, she's afraid it might be time to throw in the towel. In the meantime, she's keeping her hopes up and taking any garden job she can find, which is why she takes on the job at the Wilson's. A garden grown ramp Pru Parke is in a precarious position. After interning at one of England's famed gardening spots and honing her skills to compete with her UK counterparts, she's given herself a year to find a position that will allow her to stay in England. With her year almost up and no solid job in sight, she's afraid it might be time to throw in the towel. In the meantime, she's keeping her hopes up and taking any garden job she can find, which is why she takes on the job at the Wilson's. A garden grown rampant and in need of an expert hand is a dream come true for Pru. But when she discovers a body in the Wilson's garden shed, that dream turns quickly into a nightmare. Generally, but admittedly with a few exceptions, you've probably noticed that cozy mysteries aren't my cup of tea. When I heard about Wingate's debut, though, I was more than a little curious. A Texas ex-pat and a garden theme set in England? I thought I'd give it a try - and I'm certainly glad that I did! The Garden Plot is cute - bordering on being just a bit too much so for my taste but it's saved by Wingate's obvious knowledge of England and gardens as well as the added Roman history. Because a big part of the plot hinges on the possible discovery of a Roman artifact, this element is really very interesting. It was fortunate too that this one came up in my reading schedule when it did because I was suffering a massive book hangover thanks to Quebert and the best way to overcome that issue seems to be reading something completely different. With the exception of the murder, you kind of can't get much more different than Wingate's first Potting Shed mystery. There is a second book in the works and I will be looking forward to following more of Pru's adventures!